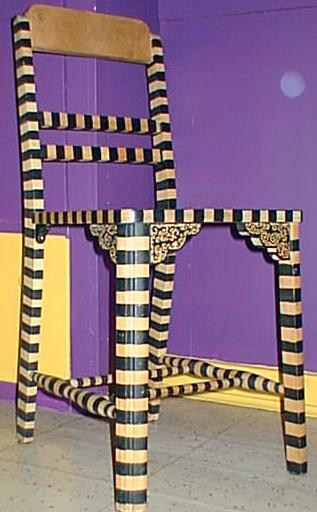 wooden chair painted with stripes and curlicues. 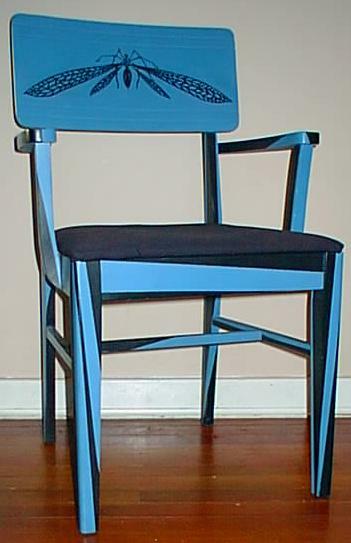 black and blue chair with bug. 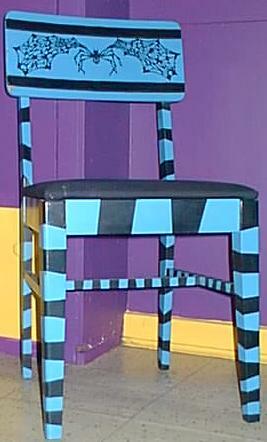 stripey blue and black chair with bug. 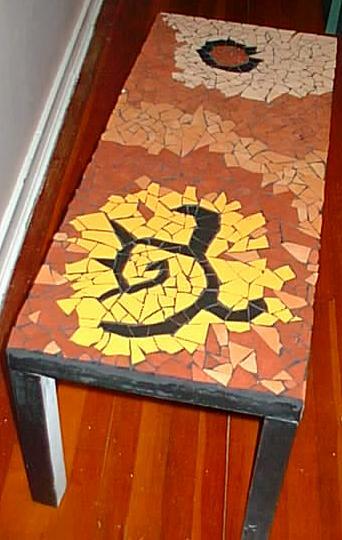 old pressed wood table with new mosaic top.